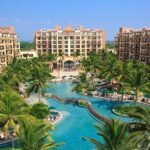 UVCI timeshare scams should not be a concern as Universal Vacation Club International (UVCI and UVCIi) is a genuine vacation club service provider operating out of the United States for resorts in Mexico. Although there are no reported UVCI timeshare scams, it is always a good idea to check websites like this one to make sure there is no history of timeshare scams or the like. 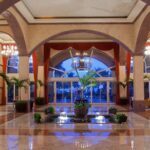 When you purchase a timeshare at a Villa Group resort in Mexico (Villa del Palmar), Universal Vacation Club International will administer your club membership. This means that you will call members services at UVCI with regards to your maintenance fees and other issues you may have with your membership. 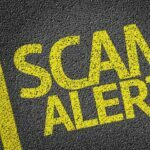 As a mutual benefit company, there is no danger of a UVCI timeshare scam; on the contrary, UVCI are there to help you in the event that you are involved in a potential timeshare scam, such as resale scams or fake cancellation scams. 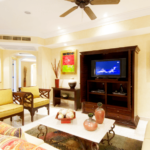 UVCI timeshare scams are therefore very rare, in fact, more correctly put, non-existent. There have been no cases of UVCI timeshare scams. The only danger you may face of a timeshare scam that even remotely references the name UVCI is if you venture into the resale market or seek the services of a timeshare lawyer who claims to be able to cancel your timeshare. Beware both of these circumstances, and make sure you do your research before handing over any money. In the highly unlikely event that you are involved in what appears to be a UVCI timeshare scam, the first step to take is to contact UVCI directly. That is, do not reply to any telephone numbers or email address that appear in correspondence relating to the scam circumstances – it is likely that it is some kind of phishing scam. Rather, look for an independent source for UVCI’s contact details and inform members services of the details of the scam you think you are victim of. You will probably find that an apparent UVCI timeshare scam has absolutely nothing to do with UVCI and is more likely to be a phishing scam.